If Jesus Were the Pastor of Your Church, You Probably Wouldn’t Go There! 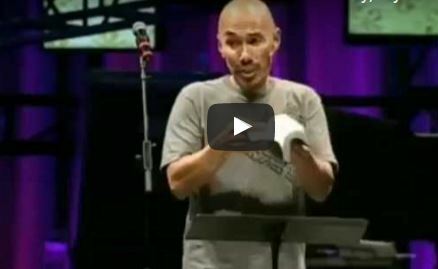 In the following sermon, Francis Chan spurs the Church to stand obedient to Christ without the fear of men. Oftentimes, we tend to make church about ourselves: our needs, demands, preferences, etc. And when we are not satisfied, we move to another church. It’s high time for a revival, time for souls to hunger for Christ and be willing to give it all for the cause of the Kingdom: be unstoppable. Francis uses the parable of the Sower to show how churches over the years have been wasting time ‘fertilizing rocks and thorns’, i.e. winning crowds as opposed to investing in ‘the good soil’, i.e. winning souls. So, watch and let your faith be challenged! Next Ladies, Learn How To Cook!